Jim’s involvement in Sesame Street which premiered in 1969 and his growing family at home (he had four children by 1970 with a fifth on the way) made him particularly aware of television’s impact on children. With the widespread embrace of the TV media in the 1960s, lots of organizations, both educational and otherwise, began holding conferences on this topic. 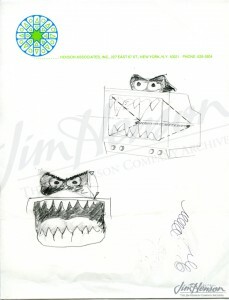 Jim and his wife Jane attended one such conference in Aspen and got involved in the relatively new organization Action for Children’s Television. In 1970, ACT had petitioned the FCC to ban advertising from children’s programming (which it did not do, of course). Having thrown over his lucrative advertising work for Sesame Street the year before, Jim was a convert and eager to share ACT’s message. Learn about his presentation at their symposium that November. 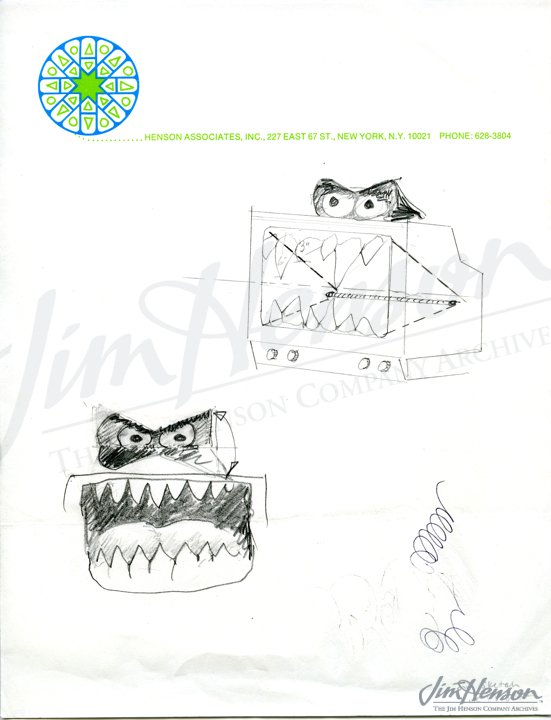 Jim’s idea for an aggressive television, early 1970s. This entry was posted in 05-May '70, 1970 and tagged Aspen, Jane Henson, Sesame Street. Bookmark the permalink.